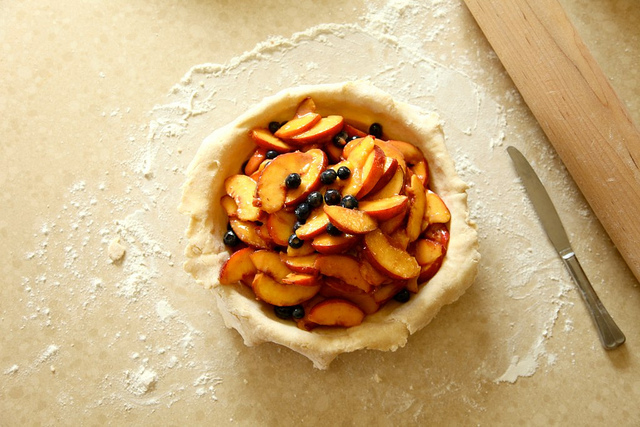 ...it is apparently National Peach Pie Day. There is a day for everything and Peaches definitely deserve to have one. Possibly more. SO, in honor of them...Please check out JOY THE BAKER and her ridiculously awesome recipe. There are blueberries in there as well, but you'll love them. Trust. that's the big contest at our county fair--peach pie. you have performed a valuable public service letting me know of this very important national holiday. I may not have time to make a pie but I WILL eat a pie today!